I know Halloween is over, but I’m still on a pumpkin kick. We’ve gone a little pumpkin crazy at HonestlyYUM with pumpkin-inspired DIYs, pumpkin punch, and pumpkin seed brittle. 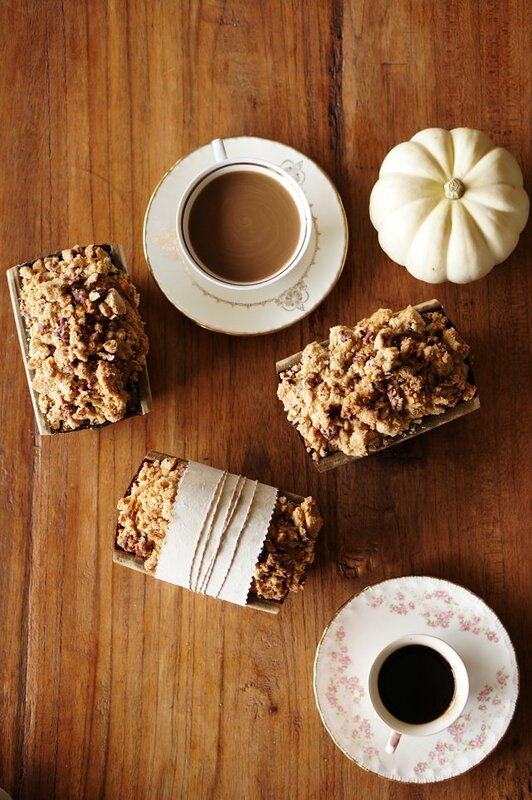 Today, pumpkin coffee cake with pecan streusel! This classic coffee cake incorporates pumpkin spices and pumpkin puree, creating an ultra-moist coffee cake. 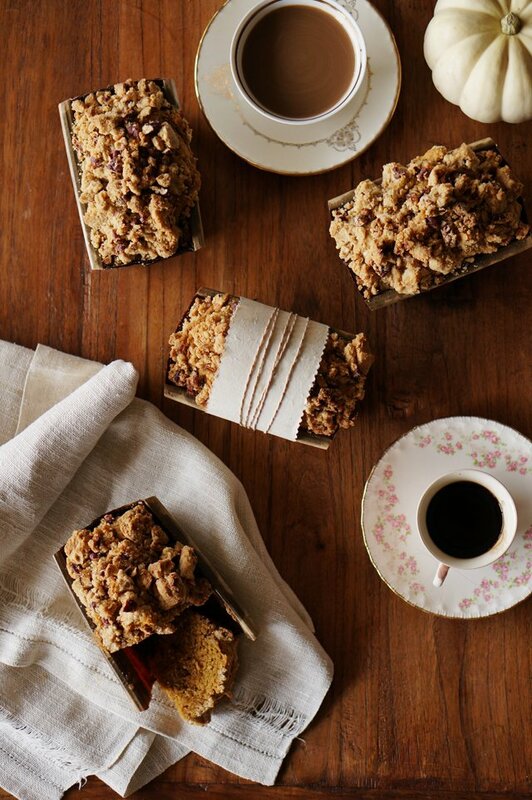 But my favorite part about this, and any proper coffee cake, is the huge crumbly streusel– such buttery and sugary perfection. I’ve made these into little mini loaves, but you could easily make this in a regular 9-inch cake pan. I ordered these mini disposable paper loaf pans that are just perfect for holiday gifting! To make the batter, sift the flour, baking powder, baking soda, cinnamon, ginger, nutmeg and salt together in a bowl. 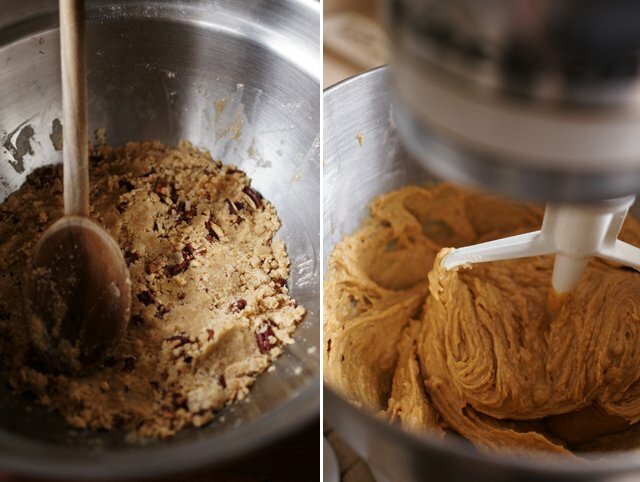 In the bowl of a mixer fitted with a paddle attachment, beat together butter and brown sugar until well combined. Beat in eggs, one at a time, scraping down the sides of the bowl. Add the pumpkin puree and sour cream and mix until combined. On low speed, add the flour mixture, about one-third at a time, and mix just until combined. To make the streusel, whisk together the sugar, salt and spices into melted butter until smooth. 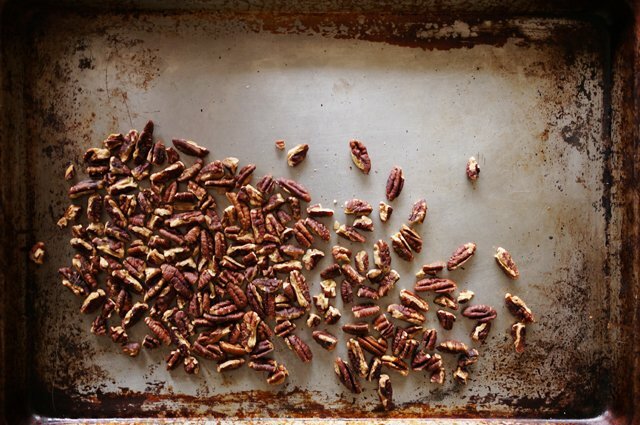 Then, add the flour and pecans. The mixture will be solid but leave it packed in the bottom of the bowl. 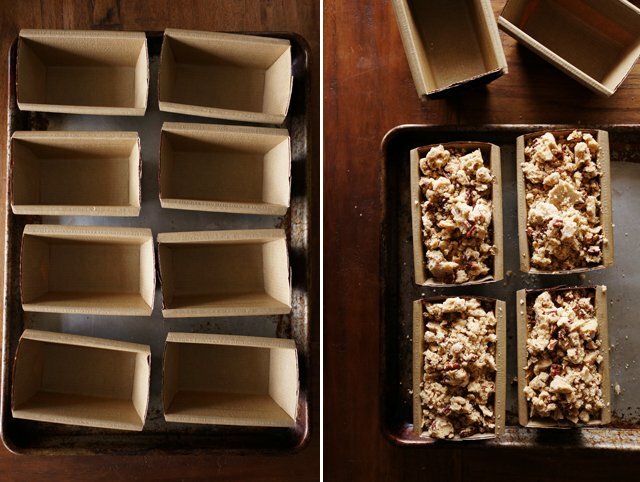 Pour into 4 mini loaf containers on a baking sheet. 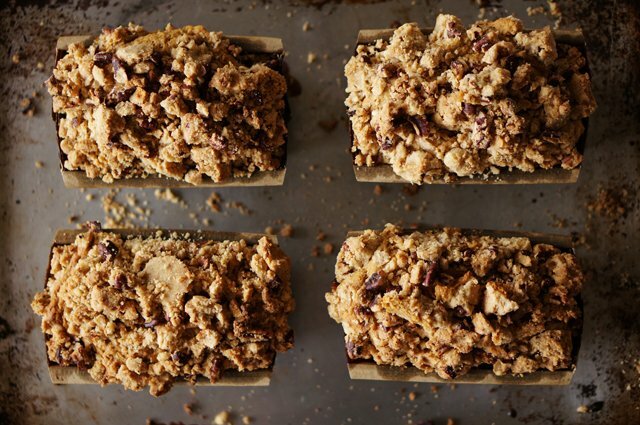 Break the streusel apart into large chunks with your fingers and top each container with streusel. Don’t overpack the containers because the cake will rise in the oven. If making in a 9-inch pan, butter and flour the pan before pouring in the batter and topping with streusel. Allow the coffee cakes to cool for at least 15 minutes. They will come out puffy, but will shrink down a bit once cooled. To make these into gifts, wrap a long piece of parchment or paper around the coffee cake and tie up with string. Serve with some coffee . . .
And enjoy all those big streusel crumbs. YUM! My boyfriend and I just made this today, and it’s delicious! The bread came out light and fluffy, and the streusel was sweet. The streusel really gave it so much more texture too. Thanks so much for putting this up! What adorable little cakes! 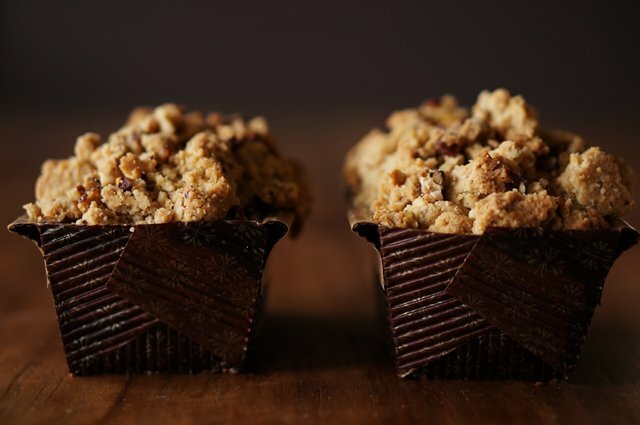 I’m a sucker for anything topped with streusel. They look heavenly! That is some serious streusel topping. YUM! By 9 inch cake pan, do you mean a round cake pan? Springform? Does it matter? Also, can I substitute plain Greek yogurt for sour cream? I suggested a 9 inch cake pan because most people have it and no it doesn’t matter if you use a springform. Just make sure to grease either one you use. And yes, you could definitely substitute with yogurt! This looks so perfect. And the size is what makes it for me – that and the streusel. I have a can of pumpkin just waiting for this recipe! Yes that why its called coffee cake and its always heavier in consistency. Whoa, this looks good! Perfect for this time of year too. Thanks for this yummy recipe. I tried and it’s really good. The Streusel wasn’t solid enough so I needed to add more 4 tablespoons of butter. Thanks Karen, I was just looking it up after I saw another coffee cake recipe with no coffee in it! Can’t wait to try this recipe! I love that you guys are still on a pumpkin kick! I could eat this cake every morning with my coffee. This looks like such a great recipe, but where is the coffee in the batter? 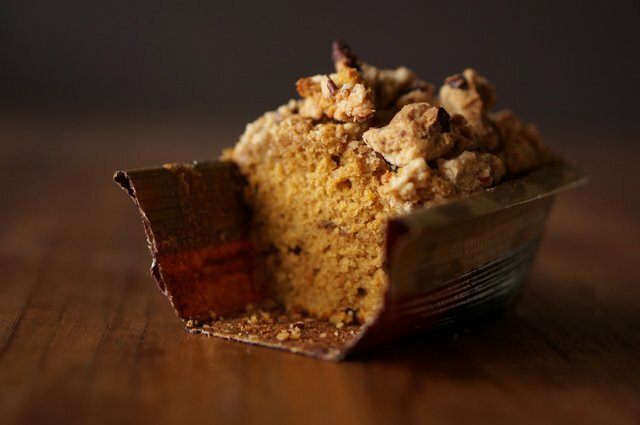 Actually classic coffee cake doesn’t have coffee in it– just meant to be eaten with coffee. 🙂 Kinda a misnomer!